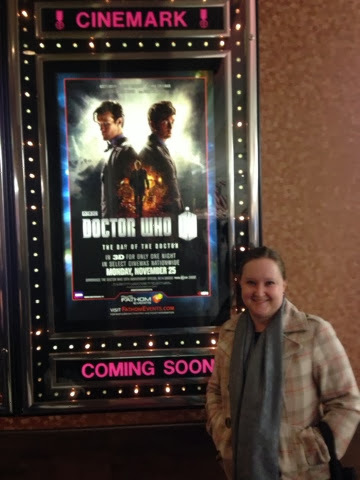 Daniel and Ashley Adopt: Doctor Who!!! I forgot to post this last week. 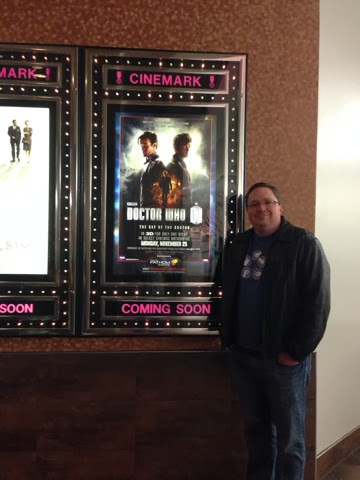 Last Monday we went and saw the Doctor Who special in theaters. We've been fans for quite sometime. Daniel longer than me. He got me hooked on it while we were dating. It was fun. Such a good show. I'm so glad we took the opportunity to see it in the theater. Do you like Doctor Who? Do you know who that is? My favorite Doctor is the tenth, David Tennant.